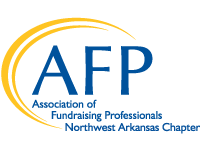 We believe in strengthening the future of fundraising in Northwest Arkansas by empowering YOU, our members, to expand your network and establish career enhancing relationships. The mentorship program is a benefit of AFP membership designed to inspire, guide, support, and cheerlead new fundraising professionals while offering a meaningful way for seasoned professionals to share their knowledge. Together, we will grow Northwest Arkansas’ future fundraising leaders! Serving as a mentor or mentee is a benefit of being an active AFP Member and there is no fee to participate. Applications are being accepted now through December 31st for 2019. The mentorship program committee will match mentors and mentees in January 2019. Mentors and mentees will be notified in mid-January, at which point their mentoring term begins and continues through December of that year. Please be sure to select your preferred application - Mentor or Mentee. Who is best positioned to serve as a mentor? Mentors are recommended to have more than three years of full time experience in the field of fundraising. What am I expected to do? Mentors are expected to provide their mentees with a minimum of two hours of meaningful interaction per quarter during the one year term. Interactions may be electronic or by phone, though we encourage face-to-face meetings whenever possible. Mentees are expected to be proactive in scheduling interactions and expressing needs to their mentors. Mentors and mentees should work together to determine what kind of support and method of interaction will be most beneficial for the mentee’s career objectives. Who is best positioned to be a mentee? Mentees are recommended to have less than three years of full time experience in the field of fundraising. Do I need to be a manager to serve as a mentor? While manager level positions provide the breadth of experience needed to be a successful mentor, we believe any fundraising professional with at least three years of full time experience in their respective area (i.e. database support, gift tracking, donor relations, event coordination) has valuable insights to share with new development colleagues. Mentors and mentees both commit to one year (January – December). If you must leave the relationship early, we request that you give adequate notice so that we may work to find a replacement. What should I do if the relationship is not going well or I am concerned about mentorship? We encourage mentors and mentees to work through conflicts with one another; however, you are invited to notify the Mentor Program Chair should it not be possible to resolve the conflict independently. We will work together to ensure the relationship is beneficial to both the mentor and mentee. Post-program surveys will be conducted at the end of the year to assess the success and/or needed improvements for the program. This program is free to members. The mentorship program is a benefit of an active AFP membership. All AFP Members are invited to participate. To apply, email form and resume to mike.williams@nwafoodbank.org, subject line “Mentoring Program” or mail form and resume to AFP NWA, ATTN: Mentoring Program, PO Box 9264, Fayetteville, AR 72703. Applications are due on December 31.